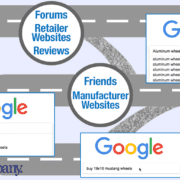 We recently participated in a free webinar to help companies in the automotive aftermarket prepare for 2013 online holiday shopping, called “6 Ways to Increase Online Sales This Holiday Season,” along with the web experts at WebShopManager. As the holiday selling season approaches you’ll want to prepare your email marketing plan and work on your search engine optimization (SEO) and pay per click (PPC)/paid search marketing plans, as you plan for this important aftermarket industry trend. 1). Monday, November 26, 2012, known as Cyber Monday, topped comScore Inc.’s list of top 2012 holiday season shopping days with $1.465 billion in online sales. This was up 17% from 2011. This year it’s Monday, December 2, 2013. 2). Tuesday, Dec. 4, 2012, only a week and a day after Cyber Monday, came in second with $1.36 billion in online sales. This year it will be Tuesday, Dec. 10, 2013. 3). Monday, Dec. 10, known as Green Monday, had $1.28 billion in total online sales in 2012 (this year it’s Monday, Dec. 9, 2013). This figure is up from 2011, which had $1.13 billion in sales. Green Monday is traditionally the second Monday in December, or as defined by comScore the Monday with at least 10 days until Christmas. 4). Tuesday, Nov. 27, the day after Cyber Monday, came up with $1.26 billion in online sales (this year it’s Tuesday, Dec. 3, 2013). This was up 13% from 2011, when the day after Cyber Monday ranked #4 with $1.12 billion in sales. 5). Tuesday, Dec. 11 had $1.22 billion in online sales, following the trend of Monday and Tuesday being the most popular days to shop online. This year the fifth biggest day should be either Monday or Tuesday, December 16 or 17. 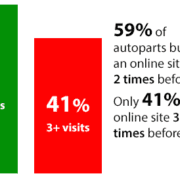 Aftermarket industry trends 2013: Biggest days for holiday online shopping days for auto parts and accessories, with projected sales dollars of auto parts excluding online auctions. Are you ready for the 2013 holiday selling season? 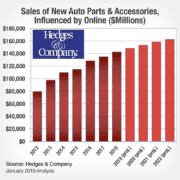 Hedges & Company is forecasting a 16% growth of online retail sales in the automotive aftermarket in 2013. That’s an important trend in the aftermarket. This is one of the most underutilized selling seasons in the automotive aftermarket with tremendous potential to sell auto gift items, clothing, diecast collectibles, and home or garage accessories like signs or art. 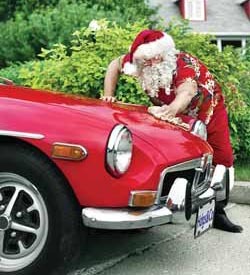 It’s even an effective season to sell traditional hard parts and automotive accessories if you utilize wish lists so non-automotive friends or spouses can comfortably buy gifts for an auto enthusiast. 1). Monday, December 2, 2013: $19.8 million in online auto parts and accessory sales. 2). Tuesday, December 10, 2013: $18.4 million. 3). Monday, December 9, 2013: $17.2 million. 4). Tuesday, December 3, 2013: $17 million. 5). Monday or Tuesday, December 16 or 17, 2013: $16.5 million. It’s important to note if you use paid search advertising such as Google AdWords or the Yahoo/Bing Network, Monday December 2 will be the heaviest day for online spend in the 2013 holiday season. Tuesday, December 10 will be the second biggest day for online spend. 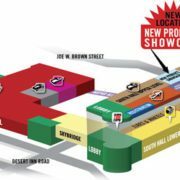 Attending the SEMA Show or AAPEX this year? Be sure to use the hashtags #SEMAShow #AAPEX2013 #SEMAomc.